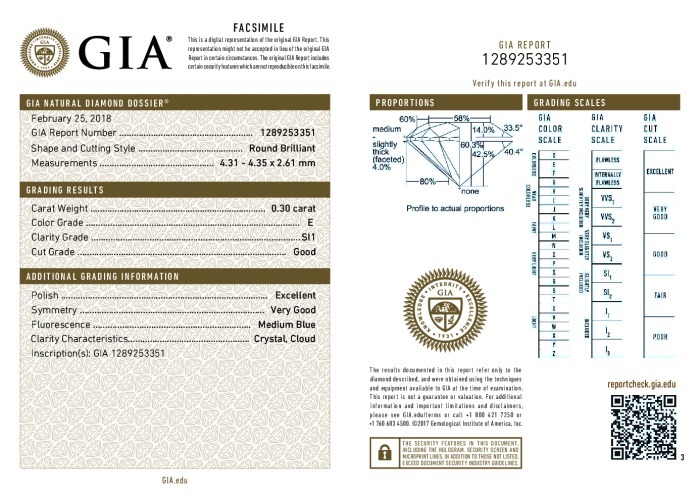 This Good-cut, E-color, and SI1-clarity diamond comes with a diamond grading report from GIA, 30 day inspection period, free FedEx Overnight insured shipping and lifetime upgrade policy. 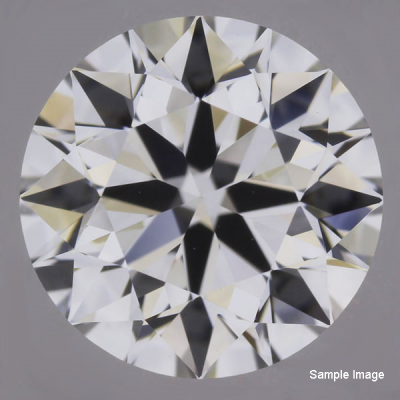 This color grade is applied to diamonds that appear perfectly white to the naked eye, but may contain trace amounts of color under high magnification. 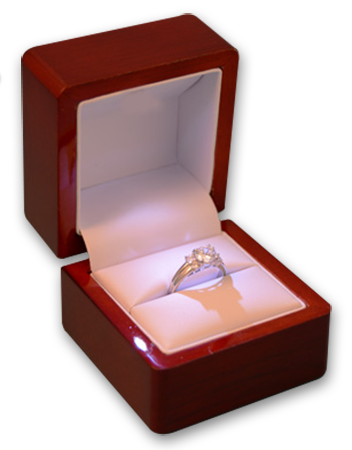 Diamonds at this end of the color spectrum are very rare and highly prized for their lack of color.